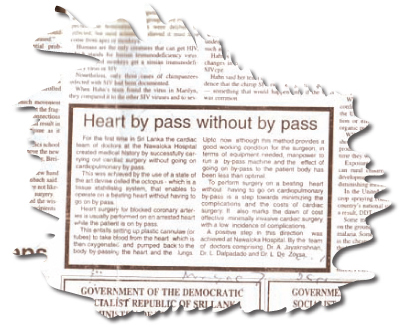 February marks the twenty-year anniversary of the first Off-Pump Coronary Artery Bypass (OPCAB) or ‘beating heart’ surgery conducted in Sri Lanka. 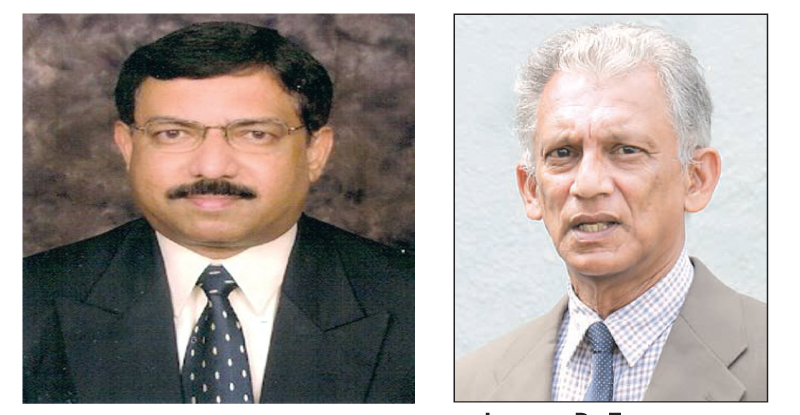 This ground-breaking development in the Sri Lankan medical landscape was pioneered in February of 1999 by Dr. G. Jayakrishnan and Dr. L De Zoysa at Nawaloka Hospital. De Zoysa, who was first introduced to this procedure in the UK in the early 1990s, explained that ‘OPCAB was developed partly to avoid the complications of cardiopulmonary bypass during cardiac surgery, where the heart is stopped and a heart-lung machine takes over the work of the heart and lungs’. In OPCAB surgery, instead of a heart-lung machine, a device called an octopus is used to stabilize the area of the heart being operated on and surgery is performed on a beating heart rather than a stopped one. It is now the most widely used method of conducting cardiac surgery within Sri Lanka, with there being several advantages to its use in comparison with surgeries conducted on a stopped heart while the patient is on cardiopulmonary bypass. The off-pump bypass surgery allows for a significant minimization of the costs that would normally be required for cardiac surgery by virtue of the fact that it does not require a heart lung machine, nor the man power required to operate it. In addition, this method almost halves the time required for the operation. Most significantly, as De Zoysa mentions, the procedure reduces the complications that accompany cardiac surgery. Dr De Zoysa notes that in bypass surgeries in which patients are put on a cardiopulmonary bypass ‘we’re not quite sure to what extent the machine is doing the work of the heart for the patient’. As a result, a number of health issues arise for patients who have undergone a bypass surgery on a stopped heart. One such health issue is a phenomenon termed ‘pump-head’. Patients who have been put on a cardiopulmonary bypass often display changes in their personality as well as poorer memory and cognitive ability. This phenomenon was previously thought to be associated with the trauma that accompanies surgery, however a 2001 study by Mark Newman of the Duke University Medical Centre implicates the heart-lung machine in causing this cognitive decline. As such, the development of this procedure and its widespread use in Sri Lanka has significantly improved the health outcomes of cardiac patients by sparing them of the post-operative complications attributed to the cardiopulmonary bypass. In its improvement of the post-operative health outcomes of cardiac patients as well as the conservation of resources that it allows for, the OPCAB has been a valuable addition to Sri Lanka’s ever-increasing medical repertoire along with such advances as the country’s first heart transplant at Kandy Teaching Hospital in 2017. As we mark two decades of OPCAB surgeries in Sri Lanka, Dr. De Zoysa notes that ‘We have to thank Nawaloka Hospital for offering Dr. Jayakrishnan and I the opportunity to perform this surgery’.